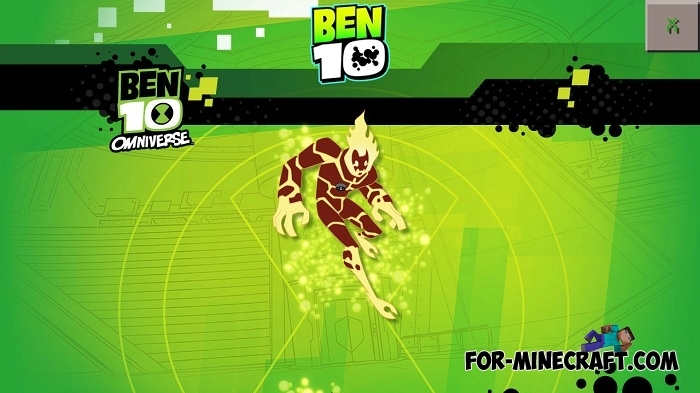 Ben 10 mod is a really cool MCPE mod that adds the omnitrix and 10 heroes with unique abilities. 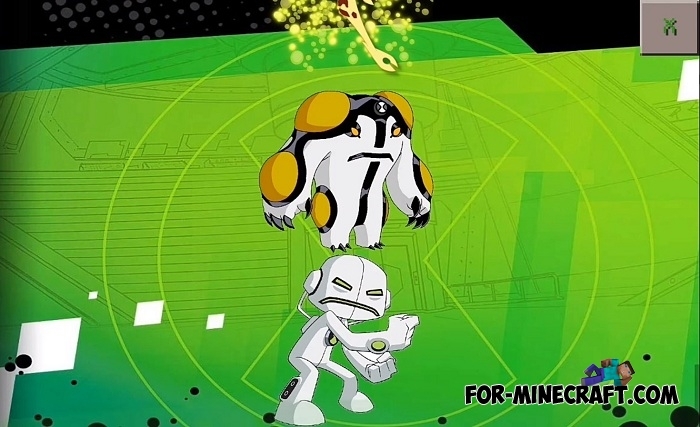 Like the cartoon, you will turn into one of the superheroes after you put the omnitrix on and select the character. Each superhero has a certain charge that is spent on using super abilities. I will describe some features below. New effects and opportunities for mobs. More information when using features. There may be failures on the newest versions Minecraft Bedrock (1.2.14, 1.2.20+). Can not work properly on MCPE 1.6. Arco (flying creature, difficult to be vulnerable). Added new effects and features in the Omnitrix. 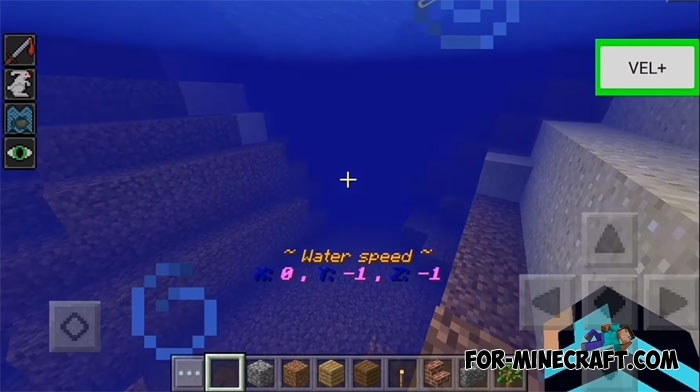 Test where you have to fight enemies repelling the waves of mobs. Heatblast is fiery superhero, able to shoot fire and set fire to anything. Once you turn into him, you leave fiery traces on the ground, and also your shot creates a big blast and a funnel. Diamondhead is able to create ice walls around the enemy which completely block it. In addition, this superhero forms ice blocks wherever it looks, but this ability spends a lot of energy. Gray Matter is very smart and also very agile. He can jump high and run very fast. A charge of energy is enough for a long time. This superhero is useful when it's important to reach the goal in a very short time. Four Arms is the strongest of all and has all the effects at the same time. Your speed, jumps, strength, stamina will always be high, the opponent has no chance. Ultra-t has an integrated laser sight and gun. The sight will occupy the entire screen, press the button on the right. Select XLR8 and then you will be able to increase and decrease the speed and the most important thing is to slow down time. Slowing down time works for all living beings. Absolutely everyone will move several times slower after activating this function. WildMutt speeds up time and everything that's happening around becomes foggy. Strength, speed and jumps are increased, which makes him one of the most powerful. In order not to turn into him, you can just dress up his suit but the effects will not work. RipJaws this amphibian is able to swim quickly because water is his element. When you dive into the water, you can monitor your coordinates and use the acceleration button. Click on it and your swimming speed increases several times. StinkFly is able to become invisible for as long as you want. 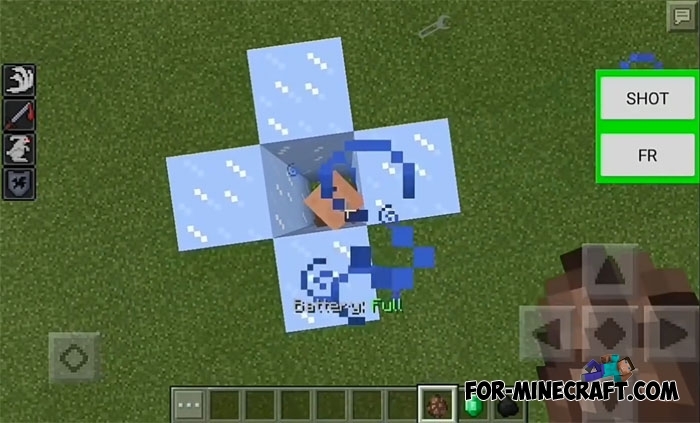 In addition, there is a transparency mode, turn it on and you can pass through blocks! After the character has spent all the energy, you will hear a sound. In general, many actions have a certain sound, do not panic. Development continues to this day and much has been done, but very soon we will see new items, creatures and features. Here is a small concept of how the main character will look. 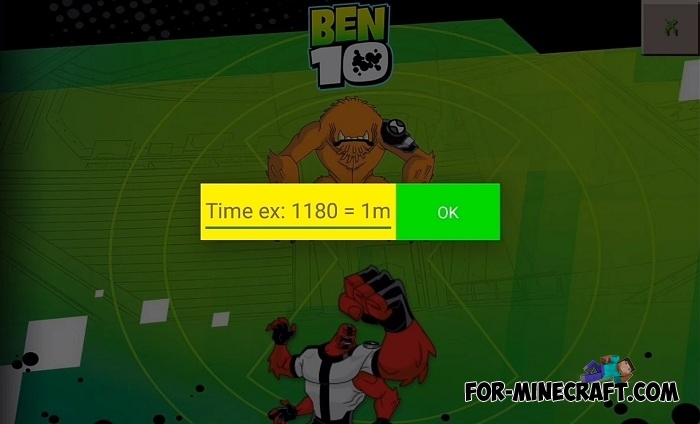 How to install the Ben 10 Mod? 1. Download the mod and run BlockLauncher. 2. 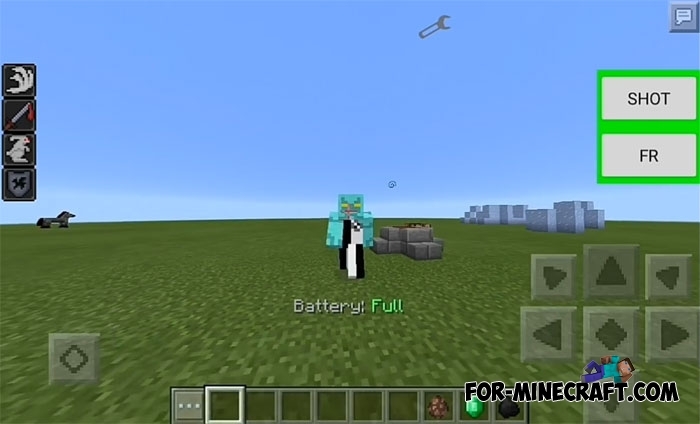 Click on the wrench on the top of the screen, select ModPE and activate the file. 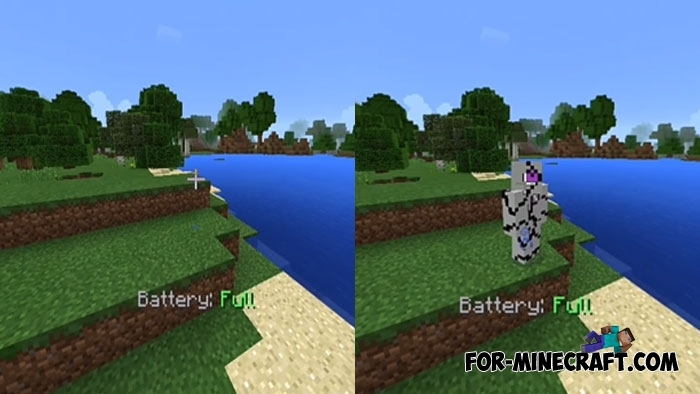 Pocket Heroes mod for Minecraft PE 0.15Pocket Heroes mod adds 21 Marvel and DC universe superheroes. Also, the mod adds villain bosses, with which you will have to fight for new opportunities and new superhero sets..
We love it. What a game!